When choosing a luxury vacation, there are a number of things to consider. What is the most beautiful destination in my price range? Where can I relax with as few stressors as possible? And, when you have a family to think of, what can I do with my kids? Zakynthos, Greece, is one of the most stunning places I have visited. The island is one major barrage of aesthetic beauty. Every beach will blow you away. Every street has something to excite you. Find and book luxury villas in Zakynthos if you are looking for the ideal vacation. Many young people think of Zakynthos as the perfect place to party. It is, indeed, renowned for its nightclubs. However, if you’re with kids, that doesn’t need to matter at all. Stay away from Laganas Strip, where all the adolescent fun goes down, and you’re in the clear. There are plenty of activities that both you and your kids can enjoy together. Here are our top 3. Both adults and children love the beach. For adults, it is ideal for relaxing by crystal clear waters, while tanning and connecting with nature. For kids, time can be spent building sandcastles, marveling at the waves, and taking (heavily supervised) swims. However, while adults get more relaxed the longer we remain on a beach, kids tend to get bored and agitated. There are only so many iterations of the generic sandcastle they’re able to build, and the sun can begin to feel uncomfortable. When you’re on vacation for an extended period of time, going to the beach day after day can start to feel like a chore if the kids stop buying in. But in Zakynthos, there is a way to keep the kids engaged without getting bored by the endless miles of pristine sands. Take them beach hopping. The reason this works is that Zakynthos has a number of beaches with their own unique features. Navagio beach is the most famous of these. It is a cove only reachable by boat. 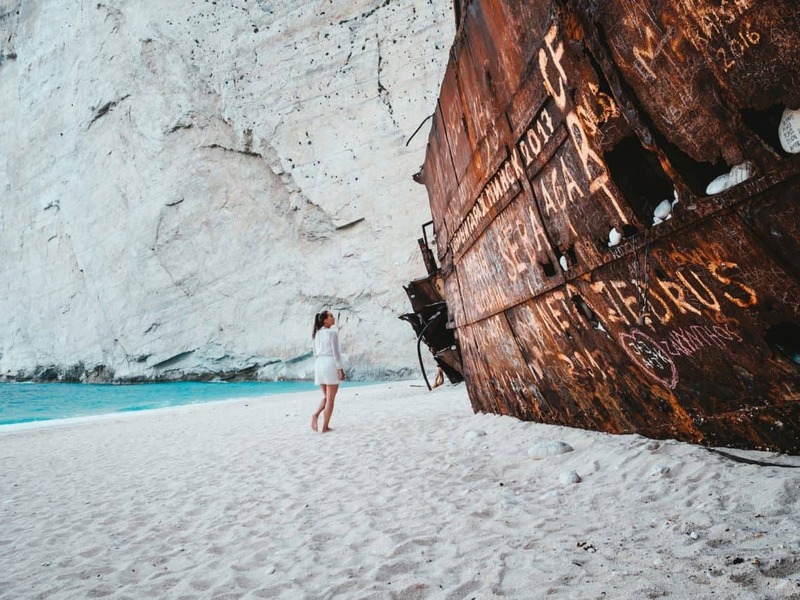 On its sands, you will find the skeleton of a shipwreck from the 1980s. The water itself is crystal clear and you can get a glimpse of life underwater with rented snorkels without even having to do any swimming. At Kalamaki beach, you can engage them with some light “watersports.” Take them in a kayak or canoe. You’ll be doing the work, of course, but it will be fun for everyone. 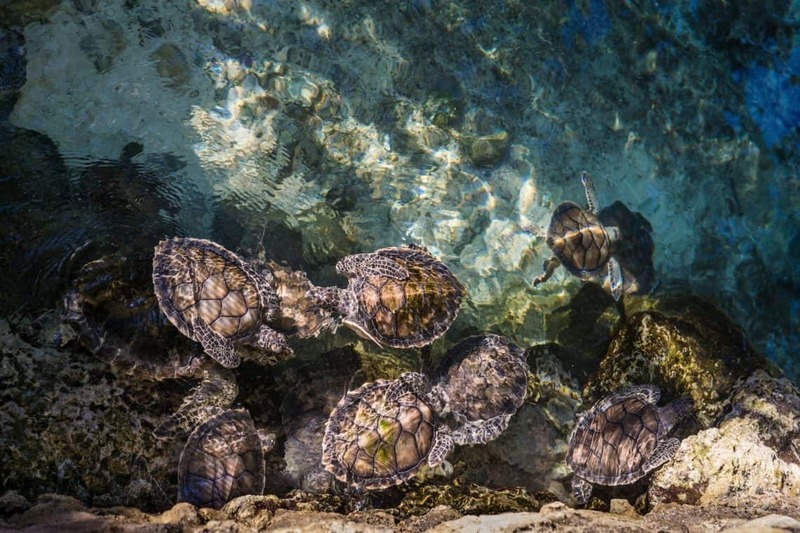 Plus, the beach is a nesting place for loggerhead turtles, an endangered species that is worth introducing to your kids while you still can! There are many more beaches to try out and many have their own features and wildlife that make them worth going out of your way to visit. Askos Stone Park, situated in Volimes (which itself is around 30 minutes outside of Zakynthos town), is a fun day out for the family. It is essentially a wildlife park. Deer are free to roam and will interact with you and your kids, leaving you all with great memories and photographs. Raccoons, tortoises, and other small animals are kept in enclosures, and kids can feed them. The setting itself is gorgeous, and its stones and stone structures provide an interesting “break” from the seaside attractions. There is some disagreement among people who have visited over whether the animals are treated in a humane way, but what I found was that the animals were in good condition, well-fed, and mostly free (or at least as free as it gets in a zoo-like environment). The deer, in particular, have free reign over the park. Water parks are an essential part of any summer vacation, and Zakynthos is no different. To get relief from the heat while having a lot of fun, go to one of Zakynthos’ water parks for a day out. The most popular are the Tsilivi Waterpark and Water Village. During peak season, they are no doubt packed with tourists, and you’ll have to spend time in queues waiting for some of the rides, but that is no different to water parks anywhere else in the world. Both of these water parks have something for everyone, from toddlers to adults. There are lazy water rides, as well as some extreme thrills. Water Village has adventure golf as well, for those who want to have some fun outside the water.